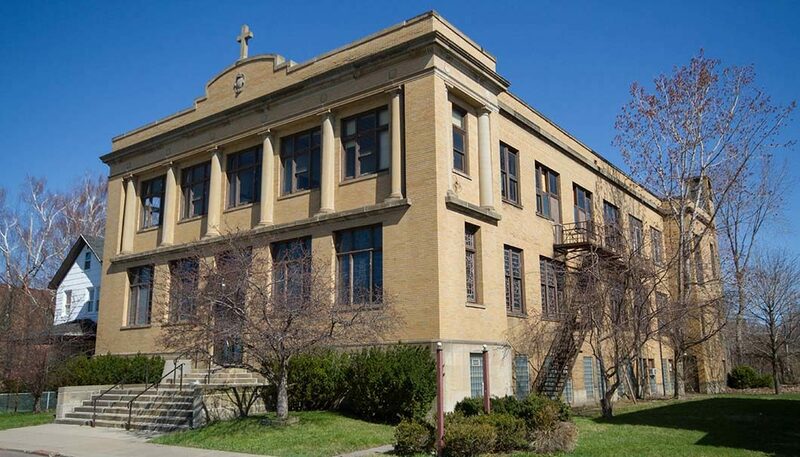 Formerly St. Valentine’s Church, this two-story 23,300 sf building has a great wide open floor plan. It is ready for renovation and adaption into office reuse or possibly a charter school. Located on South Park Ave. with easy access to downtown Buffalo, the I-190 and Larkinville. Also on multiple NFTA Metro bus routes. Adjacent parcels can be demolished to provide large, open, free parking area.